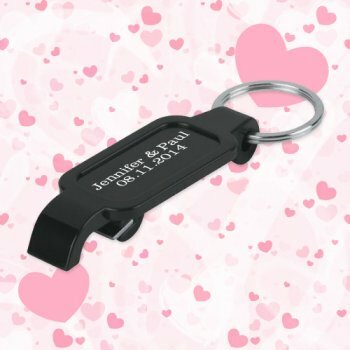 Personalized slim bottle opener keychain wedding favors –black is perfect for enticing your guests on your special day. With changing times and trends, people would be happier to receive something in black during your special day. You can make this slim bottle opener keychain impressive by imprinting your names on it. 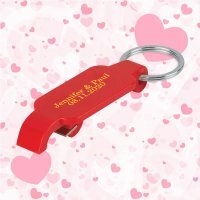 This slim bottle opener keychain can be gifted during the main day events or pre wedding bashes. 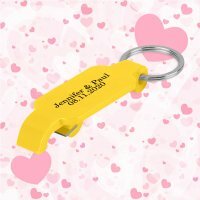 This party keychain can be availed in different colors. 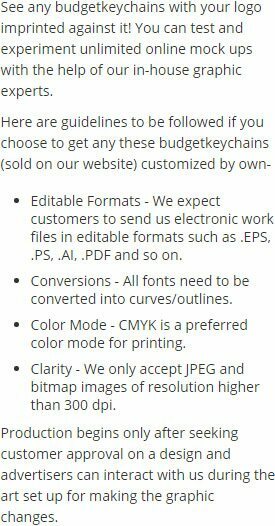 Request a quote to know what you may save on bulk orders of these custom keychain wedding favors w/slim bottle opener – black. Features – Black slim plastic body and metal key ring.